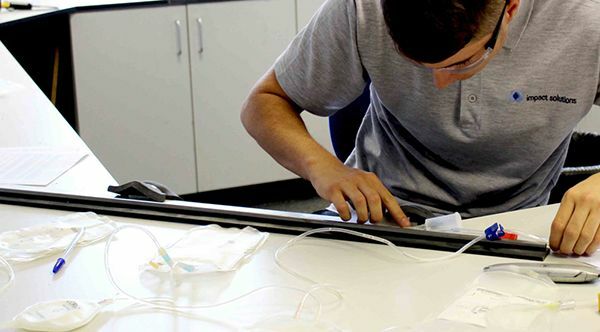 At Impact Solutions, we have an extensive experience in the testing of medical devices and we are constantly collaborating with the NHS to make sure the products are safe to be used in every application. Our state-of-the-art laboratories, accredited by UKAS, equipped with a series of environmental chambers, tensile, impact, fatigue, environmental stress cracking and thermal analysis machine are able to test any type of medical devices, from disposable syringes to the efficiency of real-time insulin measurement devices. Also, our experienced Scientists and Engineers are always available to support our customers with producing safe and cost-efficient products. For more information please contact us on the below.